The Marvel Cinematic Universe is on a high roll these couple of seasons. After giving back to back hits like Thor: Ragnarok, Guardians of the Galaxy Vol. 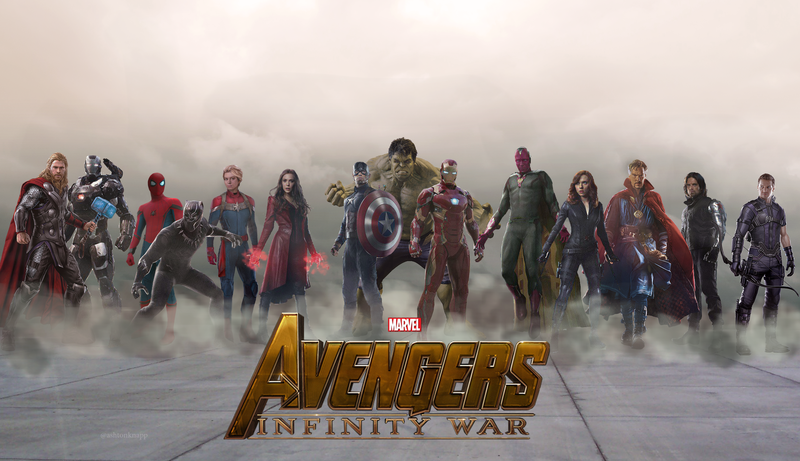 2 and Spiderman: Homecoming, it is about to set the entire Box Office on fire with Avengers: Infinity War. 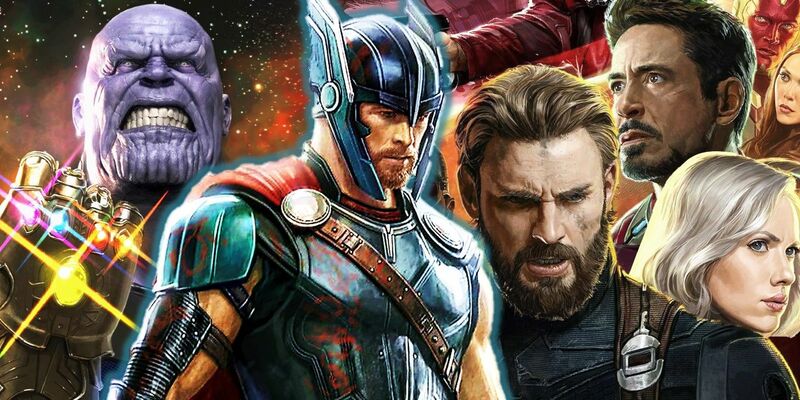 The Infinity War movies will see over 70 comic-book characters who will appear on the big screen. 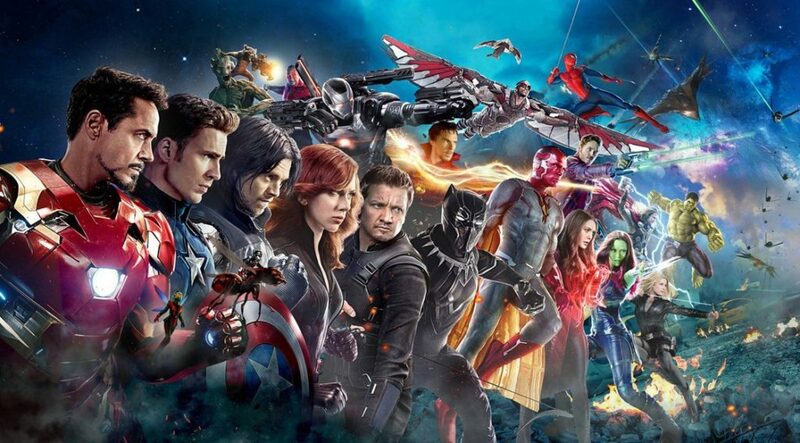 It will be the greatest extravaganza that we will ever see not just in superhero genre but nothing like this has ever been attempted by anyone. Hence, Marvel will be scripting history no matter what. 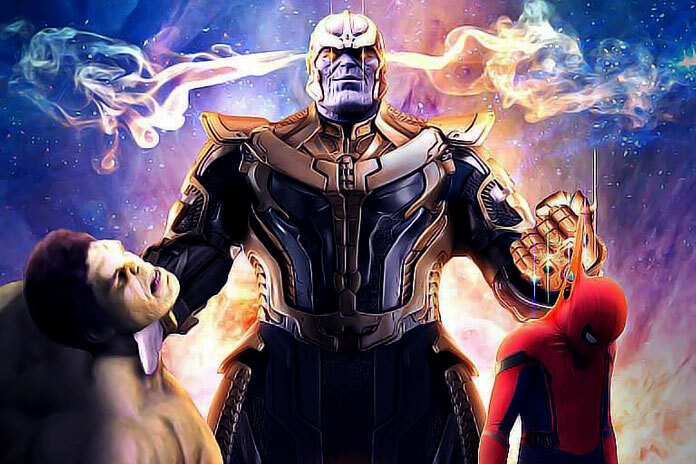 The superheroes of Earth will see themselves crossing paths with the almighty Thanos, the purple war mongering supervillain from outer space. His Black Order will also be in town. The stage is set for the most epic superhuman brawl of the millennia. The Mad Titan will come for the six Infinity gems to complete the all-powerful Infinity gauntlet which will allow him to rule the entire cosmos. Five of those Infinity gems have been discovered but Soul gem is yet to be found, the speculation is rife that it is hidden somewhere in Wakanda (Kingdom of Black Panther). 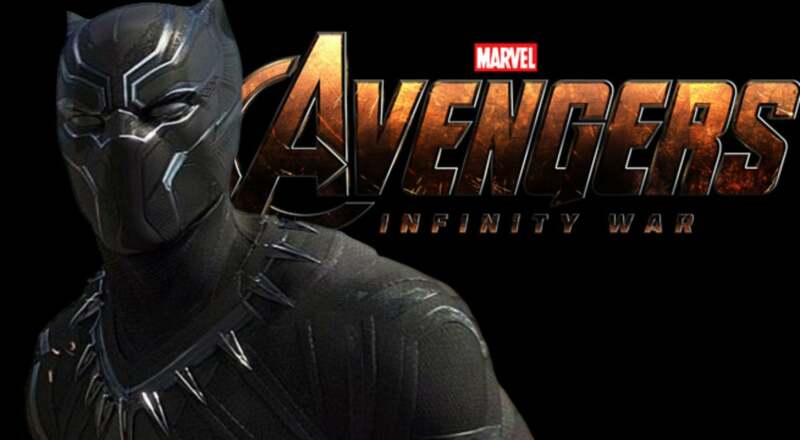 Hence, the upcoming Marvel movie Black Panther won’t be an origin story as he has already made his debut in Captain America: Civil War, instead it would serve as a critical link between the existing MCU narrative and Avengers Infinity War. We expect an important post-credit scene that will set the stage for the Infinity War. But can the heroes do it? Can Captain America’s Shield, Iron Man’s suit, Black Panther’s claws, Scarlet Witch’s Chaos Magic, Doctor Strange’s sorcery and Hulk’s strength be enough?? Now wait a minute why wasn’t Thor included in the previous statement? 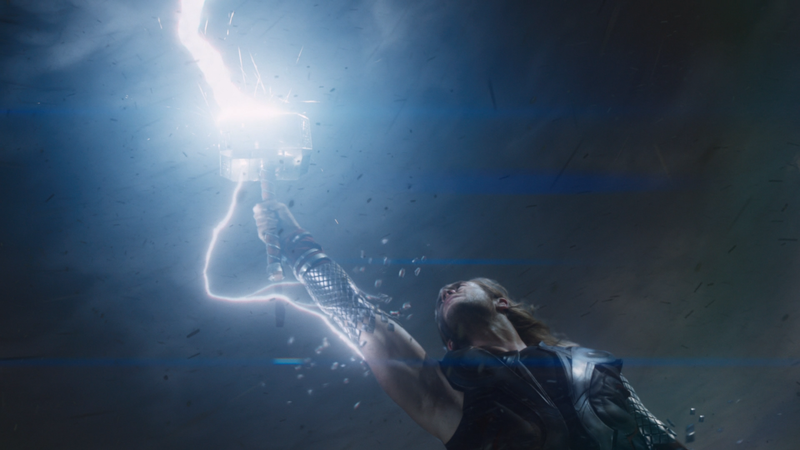 Thor is one of the most powerful beings in the Marvel Cinematic Universe. 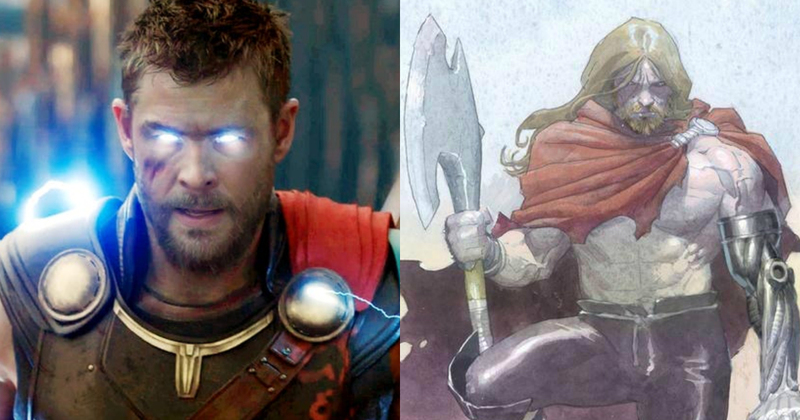 Why were Thor and his hammer excluded from the list of the most powerful weapons in the Marvel roster? The answer is simple. Thor does not have his hammer anymore. But still, he is the God of Thunder. Mjolnir was just a focal point for concentrating his powers. He needed it the same way the eye needed a lens to focus its energy. This is in stark contrast with the Marvel comics where Thor or for that matter Odin’s powers are drawn from swords or hammers that they possess. 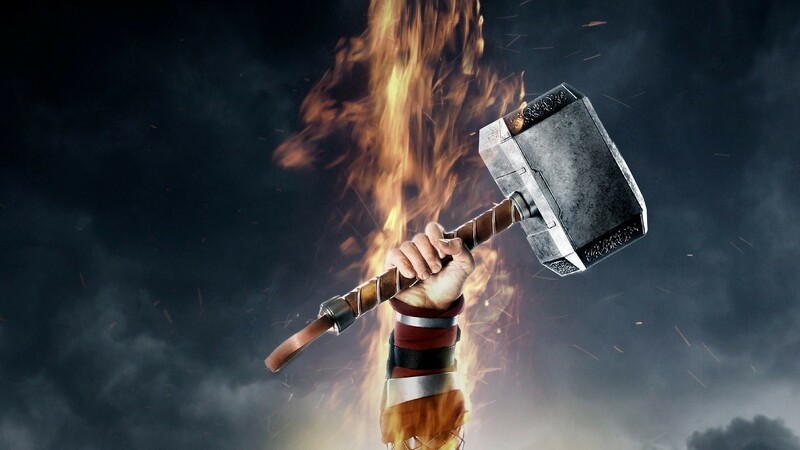 In fact, Thor: Ragnarok contradicted previous Thor movies where it was explicitly shown that as he is not worthy of lifting Mjolnir, he was exiled from Asgard. And when he was truly ready, he got his powers back and he defeated ‘The Destroyer’ sent by his brother Loki. Mjolnir was destroyed by Hela, the Goddess of the Underworld in Norse mythology, in Thor: Ragnarok, and after that, all things certainly went south for Thor. He ended up on the gladiator arenas of Sakaar under the Grand Master’s watchful eye and fought the Hulk. Well, the match seemed a tie but it was visually stunning. After recruiting the Hulk, a Valkyrie, Loki and himself into the Revengers team, they fought Hela with everything they got until Hela had the upper hand. The fact that Thor needed a team speaks volumes about the might and power of Goddess of Death. It was in this hour of need that Odin dawned on him the knowledge that he so desperately needed. 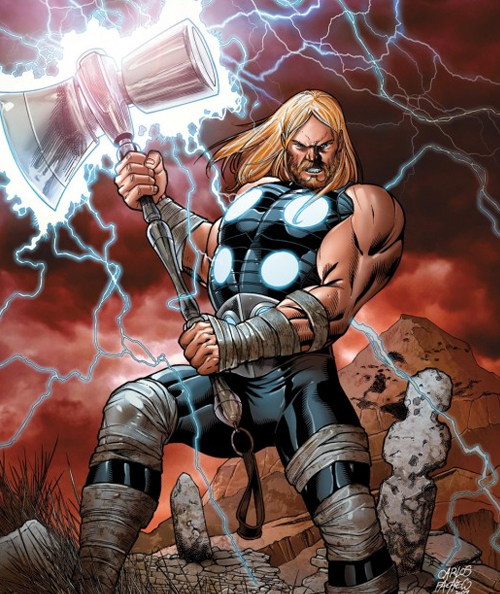 Thor does not need a hammer because he is not the God of Hammers. He is the God of Thunder. The power always resided within him. Mjolnir was literally a training wheel for Thor to better control his powers. Now that the hammer is gone, Thor was left with no choice but to master his powers by himself. He did. Hela was defeated later but Asgard ended up being destroyed. Thor’s hammer was lost to the ages. But his hammer was his trademark. Granted he does not need it anymore but Thor walking around in red drapes and armored to the teeth without his hammer is like watching a penguin trying to flap his wings and fly. Both don’t make any sense. 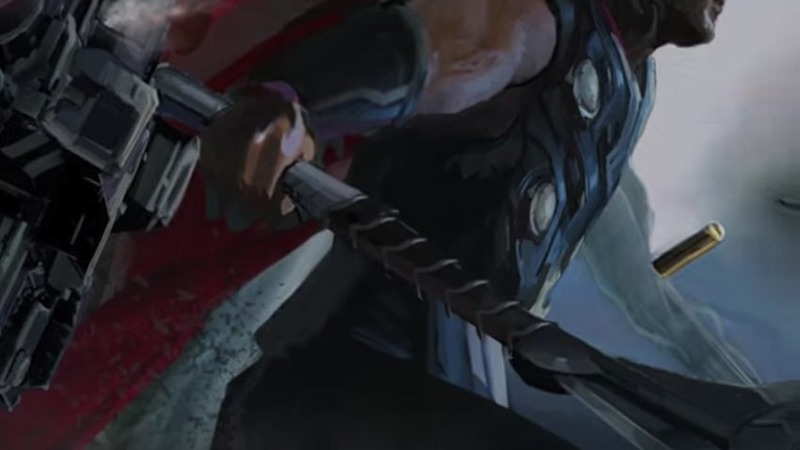 What happened to Thor’s empty hand?? We would like it to hold some sort of weapon. An empty-handed Thor does not look good. Avengers: Infinity War will have many twists and turns in its plotline. 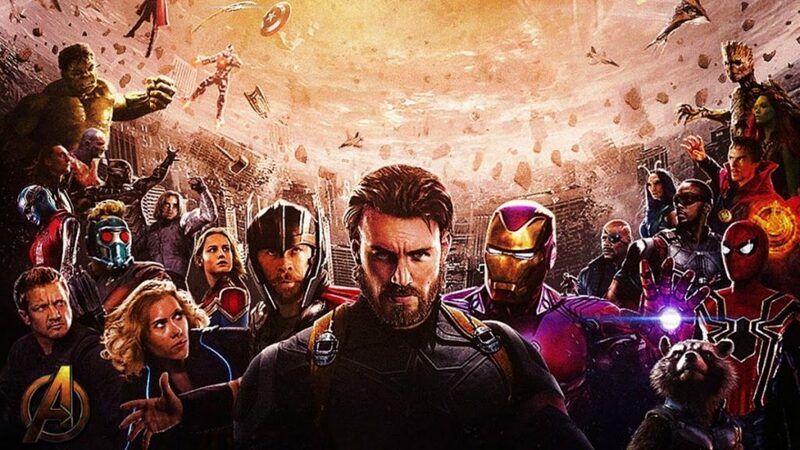 Earth’s mightiest heroes will face too many difficulties and would have to make a lot of sacrifices before they even think of having a fighting chance of defeating the Mad Titan. 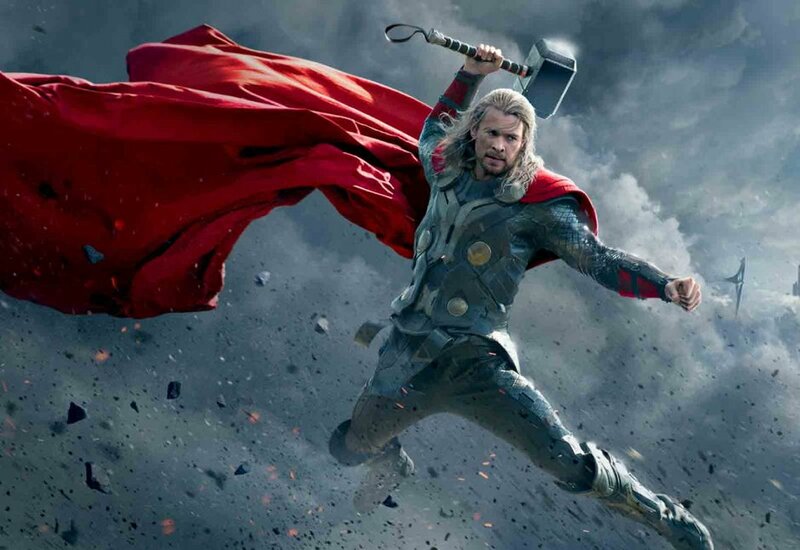 Thor is one of the strongest heroes in the Marvel Cinematic Universe. His input will be essential in stopping Thanos. But he won’t be unarmed. 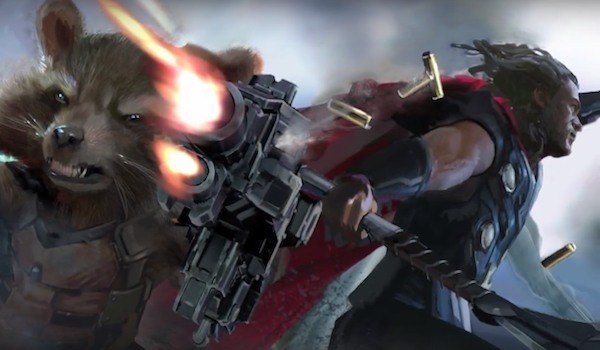 Thor is getting a new weapon in Avengers: Infinity War. Spoiler leaks had already confirmed that Thor will be getting a new, more powerful weapon in his fight against Thanos. But no one knew what it was. Until a LEGO set reveals the first picture of the supposed God of Thunder’s new super weapon. 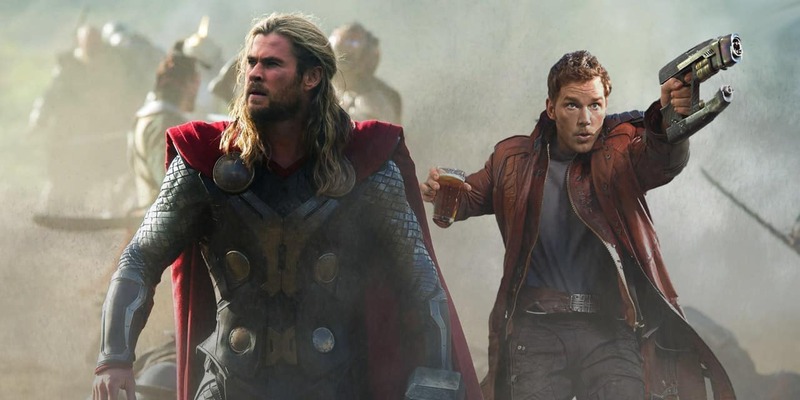 Thor encounters the Guardians of the Galaxy after his fight with Thanos when the latter surfaces at the end of Thor: Ragnarok. Thor, Rocket, and Groot then enter the realm of the Dwarf Blacksmiths who then help Thor and co to make a new weapon using the Space Forge that previously created Mjolnir. So what will be the new superweapon in the hands of Thor? Well, the new weapon is not a hammer. It’s Janbjorn – the legendary ax of the Thunder God. 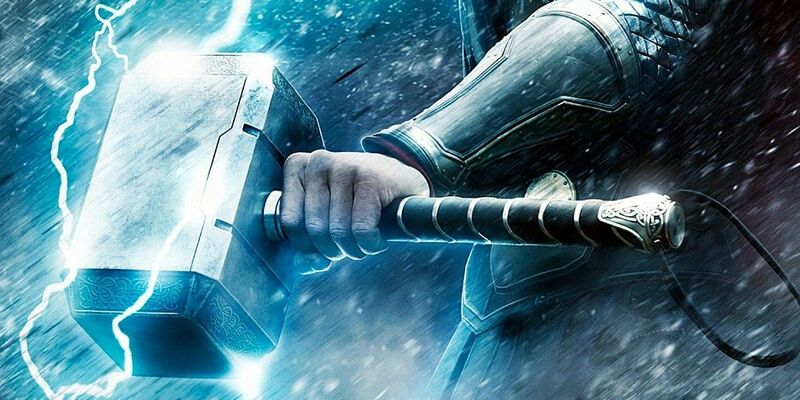 One would think that since Thor is unworthy of Mjolnir that is why he is forced to use the ax, but guess what this could be what Avengers might need to defeat Thanos. The Russo brothers – Anthony and Joe Russo are directing the film, which is produced by Kevin Feige. Louis D’Esposito, Victoria Alonso, Michael Grillo and Stan Lee are the executive producers. Christopher Markus & Stephen McFeely have written the screenplay. 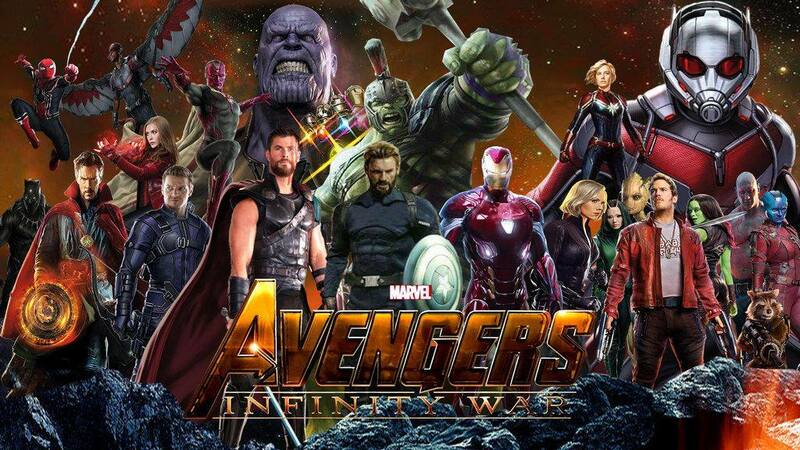 Avengers: Infinity War has a release date of May 4th, 2018. Can’t wait anymore.